In this article, we'll explore the concept of vanity metrics and give eLearning educators some useful, actionable data they can track to ensure the success of their students. The term "vanity metric" first originated as a way for technical and digital marketing analysts to describe the various trackable metrics that dominate social media, such as the subscriber counter on a YouTube channel, or the like tracker on an Instagram post. In such cases, these metrics exist for the purpose of vanity - a YouTube channel will often use their subscriber count as an indication of their worth on the platform, just an Instagram model might use the number of likes they get per photo as an indication of their influence on the platform. But in both cases, these vanity metrics fail to indicate useful information - for example, just because a YouTube has a million subscribers doesn't mean they make factual, well-supported claims in their videos. The same concept can be applied to eLearning. As an example, let's take a look at a rather ubiquitous eLearning statistic that seems to dominate discussions about whether or not a course is successful: class completion. An eLearning course with a high class-completion is typically considered successful. But is it? Just because a majority of students completed a course doesn't mean that they learned anything useful from it, or that if they did, that they would retain any of the knowledge gained. As a result, class completion is actually a vanity metric - it tells us something about an eLearning course, but fails to indicate whether or not that course was actually effective at completing its goals. In direct opposition to vanity metrics, there exist actionable metrics. 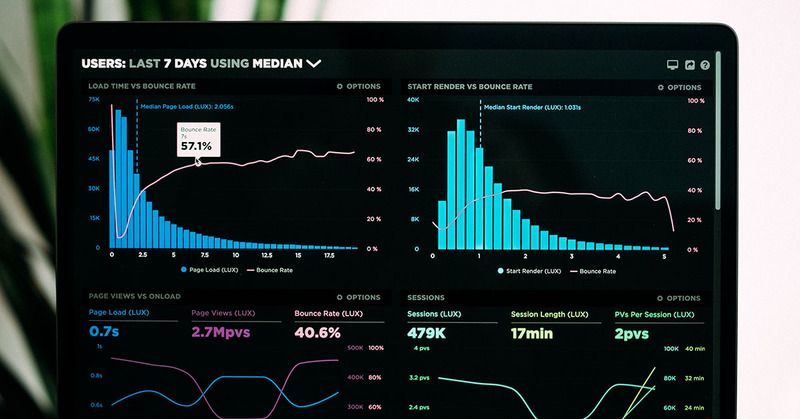 Actionable metrics are actual, useful statistics that can provide educators with reliable data that they can then use to objectively improve their eLearning experiences, making actionable metrics far more desirable than vanity metrics. In order for a metric to be actionable, it has to have some external use. For example, simply tracking whether or not a student clicks on a learning module is useless. However, tracking how much time a student spends on every question within a learning module, in addition to which questions they get right and which they get wrong, are useful, actionable metrics that educators can use to improve an eLearning experience. Another example: If 65 percent of a class spend a disproportionately large amount of time on question three of a learning module, or consistently get the answer to that question wrong, that should be an indicator to an educator that question three may need to be rephrased or made easier. Tracking actionable metrics also allows educators to understand what parts of an eLearning experience are useful to their students. This, in turn, fosters the creation of "lean learning" eLearning experiences that give students exactly the information they need to succeed in a way that they can easily understand the knowledge they are being given. In conclusion, tracking actionable metrics as opposed to tracking vanity metrics is actually easier than many educators might initially think - it just requires a little bit of thought and foresight. If you're struggling to streamline your eLearning experiences or track actionable metrics with your LMS, we'd love to help! Our team here at Lambda Solutions specializing in assisting companies and institutions with streamlining and analyzing their LMS eLearning experiences. Contact us for a demo!